You can say a lot with a snapshot, and that’s the beauty of Snapchat. You can capture quick images or short videos, add captions or filters, and then send them off to as many friends as you’d like. And because your Snaps, by default, get deleted after 24 hours, that makes Snapchat conversations more spontaneous than those on other social networks. But spontaneous doesn’t always mean simple. 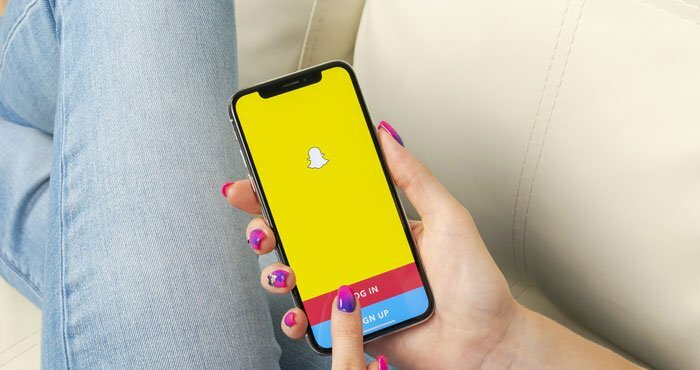 Though you can send Snaps with just a few clicks, Snapchat’s interface — particularly the many emoji and symbols it uses as indicators — isn’t quite as straightforward. If you’re confused about what those multicolored hearts next to your friends’ names means, we’re here to help. This is what every icon and symbol in Snapchat means. Gold heart: You’re #1 best friends with each other, meaning you’ve sent the most Snaps to them and they’ve sent the most Snaps to you. You can have other best friends, but Snapchat’s heart emoji are just for your very best friends, based on how many messages you send back and forth. Red heart: You’ve been #1 best friends for two weeks. Pink hearts: You’ve been #1 best friends for two months. Grimacing face: You share a #1 best friend, meaning you both send most of your messages to the same person. Smiling face: You’re best friends, but not #1 best friends. You can have as many as eight best friends, so you’ll see smiles next to the eight friends you send the most messages to. Sunglasses face: You share a best friend, so you have a close friend in common. Fire: You’re on a Snapstreak! The fire emoji will show up next to the number of consecutive days you’ve sent Snaps to this friend. Hourglass: You Snapstreak is about to end, so if you want to keep your fire emoji going you need to send a Snap fast. What about the purple boxes next to my friends’ names? If your friend has entered a birthday in Snapchat, their zodiac sign usually shows up as a purple box — though depending on the system you're using, they may look a little different than the one above. As long as you realize what you're looking at, these icons give you an idea of when their birthday is, even if you don’t know the exact date. If it is your friend’s birthday, a birthday cake emoji will show up as well. From left to right, top to bottom, the symbols above indicate Aries (March 21 – April 19), Taurus (April 20 – May 20), Gemini (May 21 – June 20), Cancer (June 21 – July 22), ### (July 23 – Aug 22), Virgo (Aug 23 – Sept 22), Libra (Sept 23 – Oct 22), Scorpio (Oct 23 – Nov 21), Sagittarius (Nov 22 – Dec 21), Capricorn (Dec 22 – Jan 19), Aquarius (Jan 20 – Feb 18), and Pisces (Feb 19 – Mar 20). While Twitter shows a verified account with a checkmark, Snapchat shows a verified account with a custom emoji. If you see an emoji next to a story, it’s because the person posting it has been verified, so they’re who they say they are. This is generally reserved for celebrities. For example, Ariana Grande has a crescent moon emoji by her username and Arnold Schwarzenegger has a flexing bicep emoji next to his username. Even though they look different, both of these emoji mean the account is verified.